You are worried you have left it too late. You hear the words cardio and stop listening. However, everything you read tells you to follow a regular cardio workout. How difficult is it to start doing some cardio exercise. 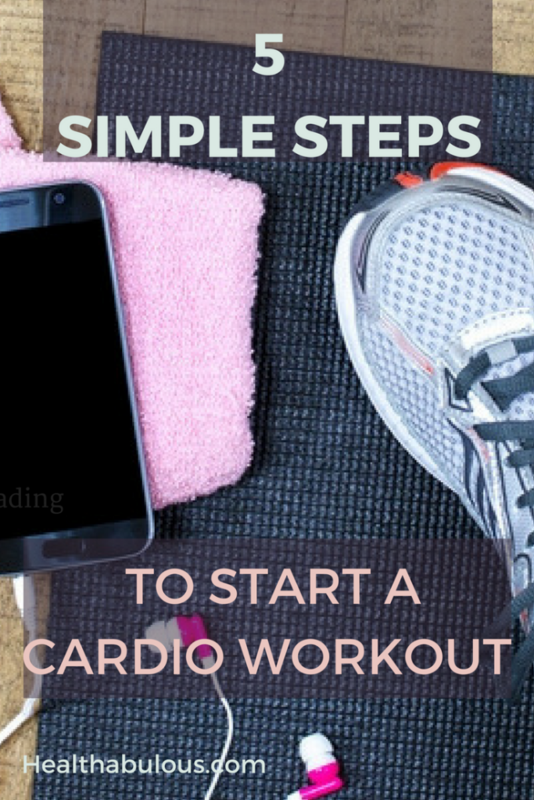 Read on and learn the 5 simple steps that you can take to start a regular cardio workout. You hear the term cardio banded about all the time, but what does it actually mean? It means an activity that raises your heart rate and breathing which causes the blood to pump faster around your body. It is therefore great for you and your body as it improves your health and can assist you to lose weight and burn fat. If you are looking to lose weight or even just stay healthy, you need to start, and maintain, a cardio workout. You are thinking about starting to take regular cardio exercise. However, you are unsure about how long your sessions should be. You don’t think you can manage an hour at your level of fitness. Don’t worry. When you first start any training program, you should not worry about the duration or intensity of the cardio exercise session. All you need to do at the minute is just start. You need to improve your posture and form before you can even think about on increasing the length and intensity of your training. First thing is to make it a regular session. If you can manage 30 minutes 3 times a week, then that is great. If you can only manage once or twice a week, then that is not so good as it will be difficult to make that commitment into a habit. 3 or 4 times a week is far more likely to become a habit. A half hour session three times a week will be better than two sessions of one hour. You should always keep to the same routine once you have started to exercise regularly. A successful cardio exercise should always start with a warm-up session. After your warm up, when your blood is pumping nicely, progress to the actual workout. Types of efficient cardio exercise include brisk walking, jogging, aerobics, zumba, stair climbing or step aerobics. Please pick something you actually enjoy as you are far more likely to do it! Your intense cardio session should be followed by a cool-down period at the very end. Lots of people hate cardio exercise routines because they find them boring or just too hard. Of course, they will be hard so just accept that and give yourself long enough that your exercise routine becomes a habit. To prevent your sessions being boring, add an element of fun to the training routine, such as music, TV or working out together with some friends. However, be aware of your safety if walking or jogging with headphones on, especially in the winter. 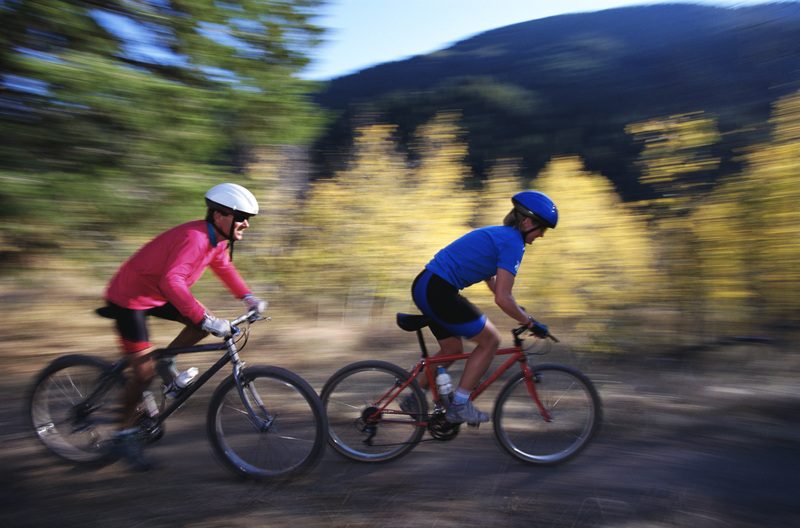 You should also take up the kind of physical activity that suits you and that you enjoy. Engaging in something that you like helps you stay motivated and continue with the program. As already mentioned, the frequency of your cardio exercise sessions is quite important. This goes a long way to ensuring your training is actually of some benefit. Three to five days of training represents the recommendation of the American College of Sports Medicine. Specialists suggest that we alternate intense exercise days with a day of rest or easier exercise. Less strenuous effort gives the body time to repair the muscles. The worst thing you can do is decide to do a heavy session every day. After about 3 days you will barely be able to walk so will have to stop to recuperate. You will never start again. The optimal duration of the actual cardio exercise (not including the time you warm-up and cool-down) varies from 20 to 60 minutes in your target heart zone. Any exercise is good for you so you can still enjoy benefits if you spend less time in the target heart zone. However, you will burn more calories when exercising for 20 to 60 minutes. There are trainers who do not agree with the traditional form of cardio exercise routine, and focus on intensity training rather than on duration. You will have seen articles in the press extolling the benefits of exercising for 5 minutes a day. These are bursts of very explosive energy during the workout. It is advisable to check and learn how well the type of intensity matches your needs. Whilst exercising for 5 minutes a day rather than 30 minutes a day sounds perfect, you will probably find it is harder than you can manage. You are more likely to do a fairly enjoyable 30 minutes of cardio than 5 minutes of hellish high intensity. Choose what you know you will do regularly. Hopefully, these tips have helped you to start planning your cardio exercise plan. Read our article about Starting Low Impact Cardio in your 50s for more inspiration.